Artist Chris Jarratt, in collaboration with Green Estate, has been successful in getting a Year of Making Commission for yet another creative arts project. 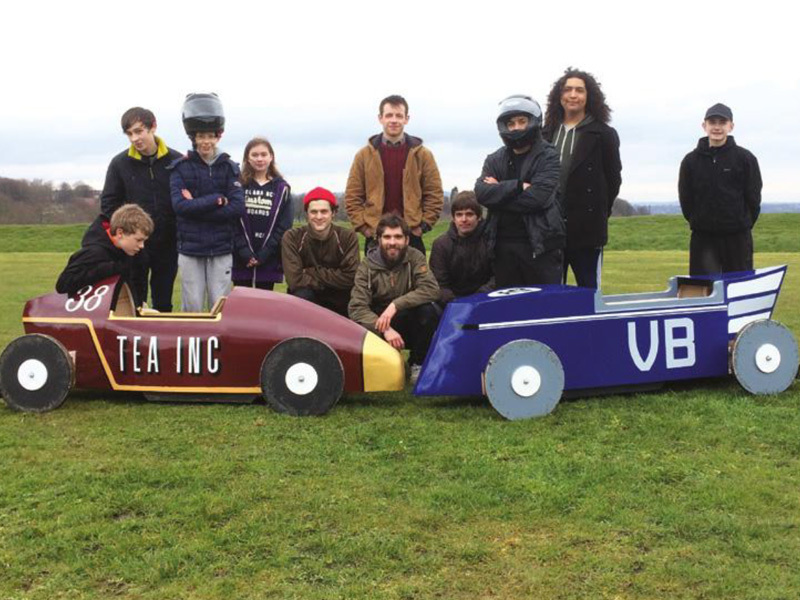 Building on the success of the JOYRIDE project that saw seven 14-19 year olds in the Manor designing, building, and then racing their own Soap Box Derby cars through Manor Fields, this new project is called TRADE ROUTES. Chris and a new team of Young People will work with a narrow boat painter and a design engineer to research, design and build a land and water going vessel. When built, the young people, will portage the vessel by hand from the Manor, to the city centre basin (Victoria Quays) and then portage it to the market re-imagining the original Duke of Norfolk Manor Coal trade route. Look out for the Projects very own Twitter & Blog entries as work starts. And in the meantime the two JOYRIDING Go Carts are preparing to battle the rest of the world at Rotherham’s Clifton Park on Saturday 1st October. Please come along and cheer them on!